Nothing gets me more irate than bad service. When you’re paying good, hard earned money for service you expect polite courteous behavior or at a minimum, general decency. So I had a feeling that we were in for an unpleasant evening when the maitre’d snootily snorted a forced greeting on arrival at Dedes restaurant in Abbotsford. I had carefully selected a restaurant for my Dinner Club pick; taking into account low calorie menu options for Janine & my (Michelle Bridges) 12WBT program. 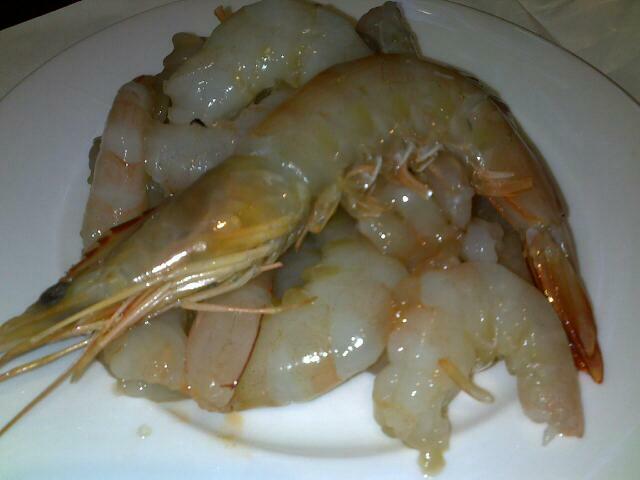 Seafood seemed the best bet and Dedes came up in my google search. Over 35 years of service their website boasted. 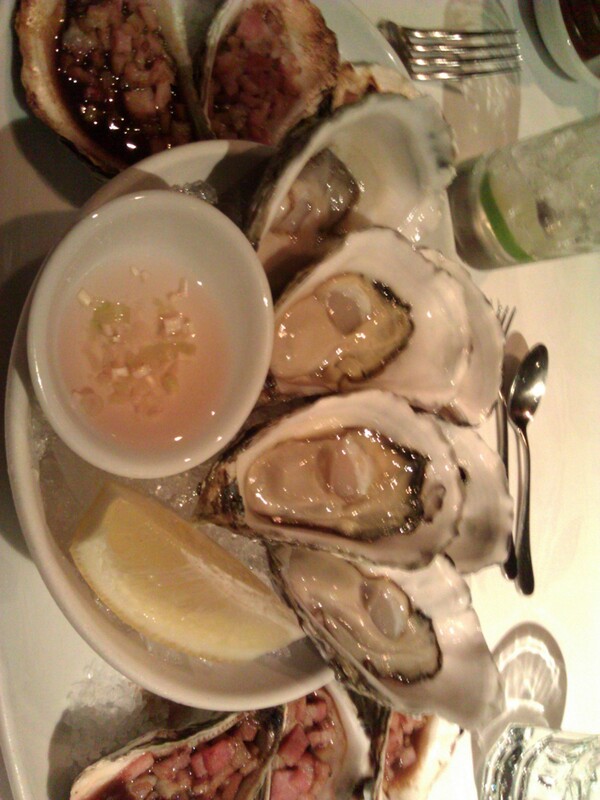 The menu looked good; oysters, salad, fresh fish & a decent meat selection. Located in the Sydney Inner West suburb of Abbotsford, about a 20 min drive from the CBD. 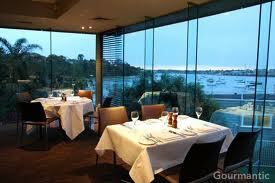 The restaurant is situated within the Sydney Rowing Club and although it was night when we arrived, it has a lovely view out over the mouth of the Parramatta river. The restaurant staff consisted mainly of French waiters, who as it turns out, were all rude and obnoxious. We were seated for 15 minutes before we were given water and the offer of our order taken. No pleasantries, drink order or introduction of the specials. 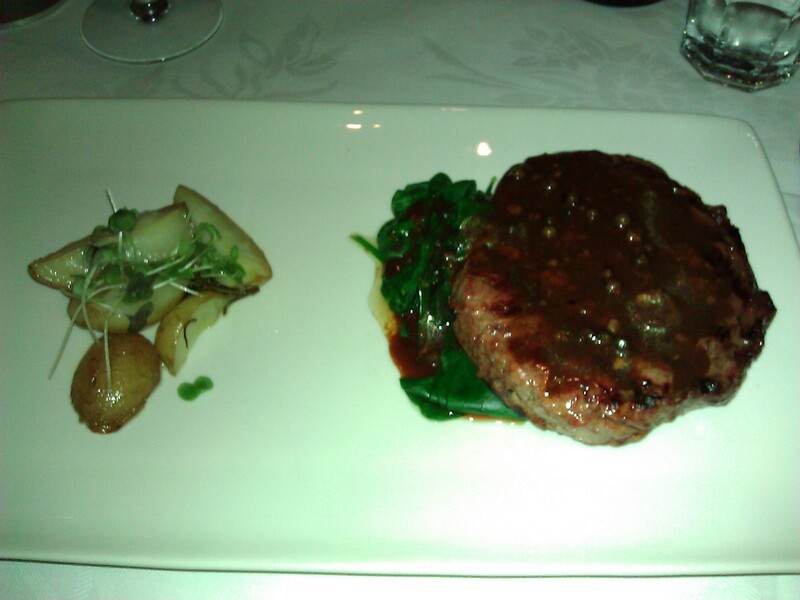 Now Dedes isn’t fine dining but the prices of mains ($25-35) indicate a higher class of food and service. With my calorie controlled eating plan in mind, I ordered a dozen oysters (as entree), a crab salad and mushroom bruschetta (entrees as main). The waiter said that we should have the bruschetta first and we ambivalently agreed. Neen, Jay & Ian also order oysters to start. 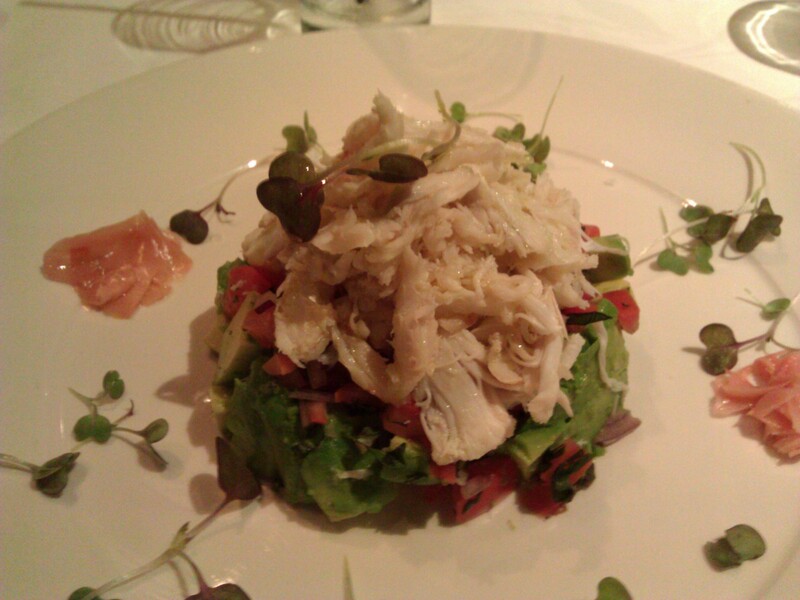 The crab is fresh and the ginger adds a real depth of flavour to the subtleties of the avocado and tomato. 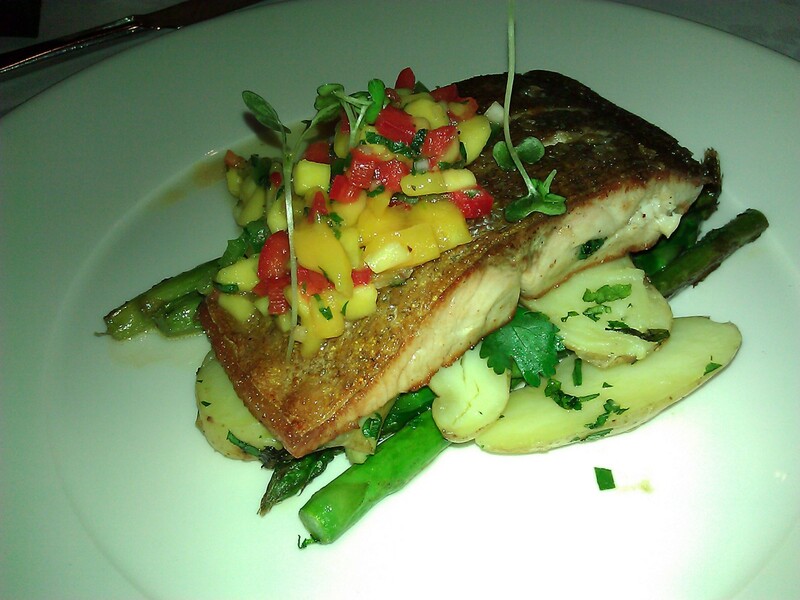 Jay likes the simplicity of the dish and the sweetness of the mango salsa which accompanies the saltiness of the fish perfectly. Ian likes his beef which is cooked according to instruction (medium-rare) and I have to give him props for not ordering all the sides on the menu (in support for Janine & I)! Our plates stay on the table for a good 10-15 minutes once we’ve finished before they are cleared. The bruschetta is mysteriously missing and by that stage we’re just over the lack of service so we ask for the bill. Although we didn’t order it, the random garlic bread has been included in our charge. It seems the waiter decided that the bruschetta was ‘too much food’ and changed our order. WTF?! I am not a child and I do not appreciate someone else making decisions for me, changing my order, all without consultation. I take the bill and go and tell the floor manager exactly what I think. To his credit, he goes the extra mile and takes off Janine & my mains, as well as the garlic bread. Whilst the food was nice; simple well thought of flavours and nice presentation, our dining experience is tainted by such appalling bad service that I am just too annoyed to appreciate it. Because I’m not going out nearly as much (actually not at all really due to my fitness program) I was so looking forward to this dinner. What an epic disappointment. Atmosphere: local families, yachties and older people. Service: appalling and disgraceful. They should be ashamed. Food: decent. Simple flavours, well presented. Value for money: average. You can do better elsewhere at place that isn’t such a nightmare to get to (travel-wise). Overall: not worth your time, effort or calories. Skip it. My husband doesn’t like prawn dishes (though he’ll eat them pink, boiled & briny the way you buy them from the shop), so getting him to eat something ‘prawny’ is notoriously difficult. 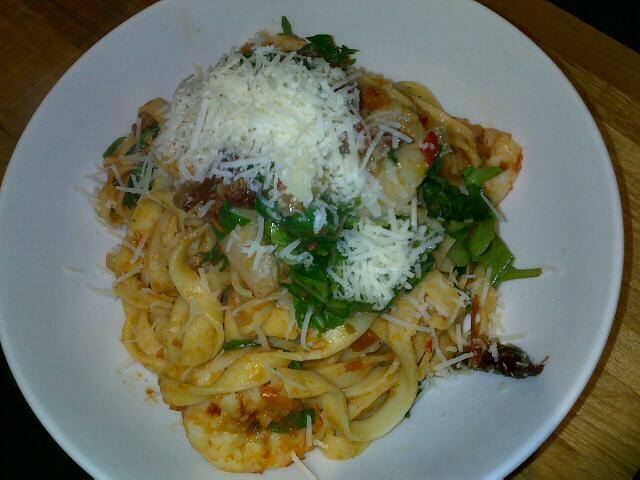 Last week during a work lunch with my engineers I had a really delicious prawn linguine. I immediately wrote down the ingredients (from what I could see/taste) to emulate at home. I made it for dinner on Easter Sunday and imagine my delight when Jay said he loved it! In a large saucepan, boil water, add pinch of salt then add linguine and simmer til al dente (follow packet instructions but usually 8-10 mins). In a large fry pan, heat olive oil over medium heat then add eschallots, garlic and chilli and cook til onion is translucent (3-5 mins). 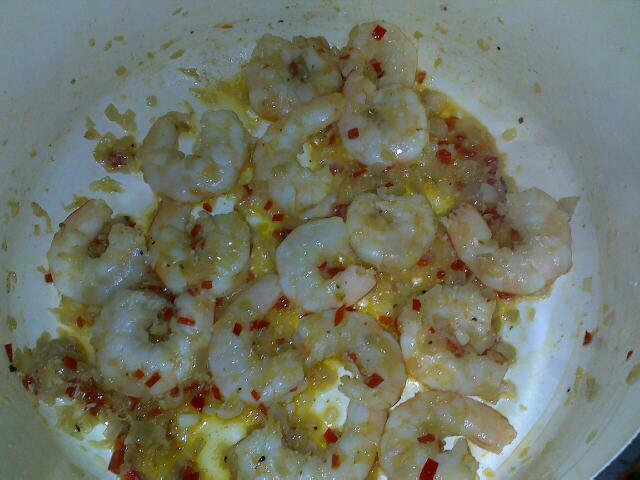 Add in prawns and cook stirring occasionally til slightly pink (again 3-5 mins). Add in sun-dried tomatoes and parsley then turn off the heat. 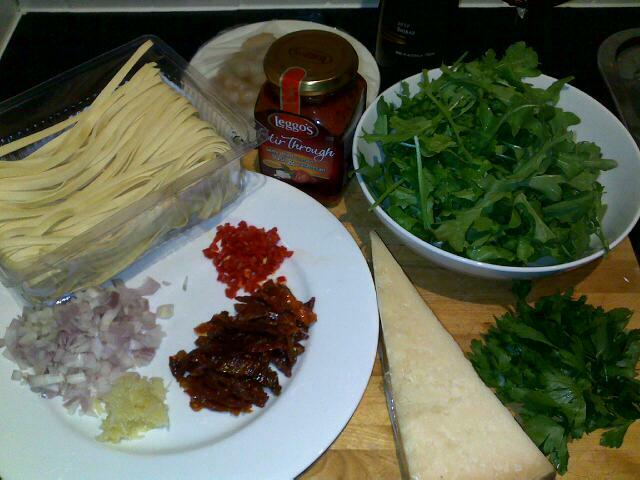 Drain linguine (once done) and add into the prawn mixture. Stir through sun-tomato pesto and rocket leaves. Season to taste. Divide among serving bowls, sprinkle over Parmesan and serve with wedge of lemon.